All children may attend the worship services with their parents, if desired. For the convenience of parents, a nursery is provided for children up to age 3 during the worship service. The nurseries are in the building on the left side of the courtyard, as you approach the sanctuary. During each service, there is a time for children (generally age 4 and older) to interact with the pastor. 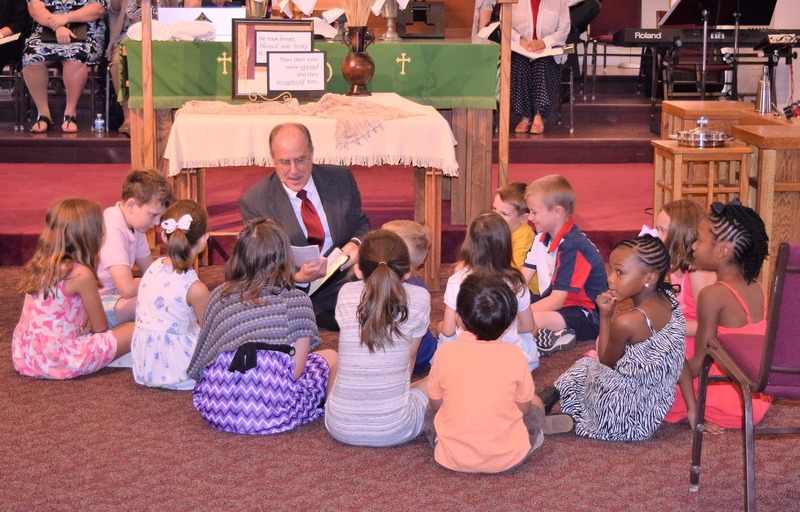 When it is time for the Children’s Moments, the pastor or another worship leader will invite the children to join the pastor in the front of the church. Following this time, the children may return to their parents or they may go to Children’s Church (ages 4K thru 2nd grade).